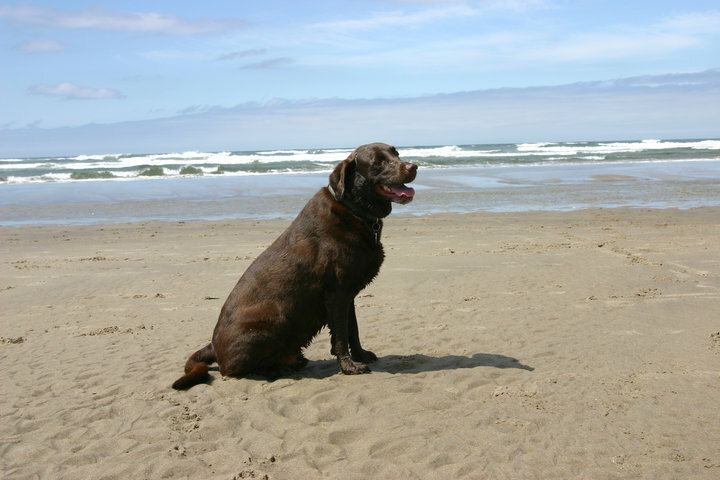 It has been nearly five years since I said goodbye to one of my best friends: my chocolate lab, Santiago. Santi came into my life about six months after I moved to Colorado. He was a dark brown, roly poly bundle of joy. I have fond memories of exploring my adopted home state with him. 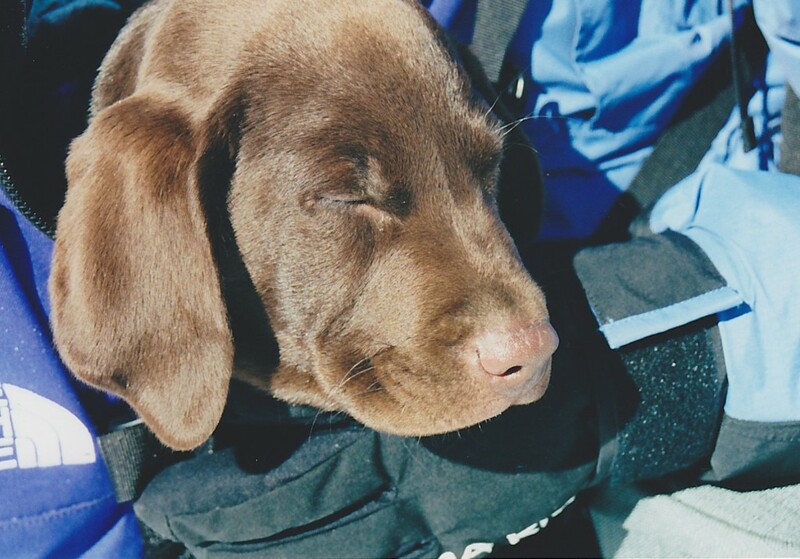 I remember one of our first adventures: snowshoeing at St. Mary’s Glacier with him nestled in a blanket in my backpack, a precursor to the baby carrier I would one day wear. It was because of Santi that I met my husband. My canine BFF and I had just arrived at the parking lot of a popular trailhead one warm June day. Santi loped up to a sweet golden retriever named Charlie, accompanied by her human, Chris. Two years later, Santi and Charlie barreled down the aisle as ring bearers during our wedding ceremony. We affectionately referred to them as “the kids” and they ruled the roost until our first human baby came along. Santi was a character. He was extremely affectionate and adored licking people’s feet as he loped by. He enjoyed having the small white patch on his chest rubbed, and would regularly clean himself like a cat with his front paws, earning him the nickname “Mittens”. Occasionally, he would wake us in the middle of the night with a haunting, call-of-the-wild-like howl. One of his most humorous quirks was his obsession with rocks. On any given hike, he would find a rock and claw at it while whining and emitting a high-pitched bark, much to the amusement of other hikers. When Santi died, my son had just turned four. It was his first real experience with death, his first experience with grief. He had many questions and, as I often do, I turned to children’s literature for the answers. 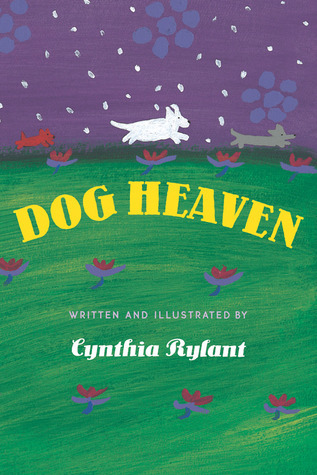 We read Cynthia Rylant’s Dog Heaven numerous times. The book is just beautiful; lovely illustrations and a sweet, simple story about where dogs go when they die. Think fluffy clouds as dog beds, unlimited treats, and ponds full of ducks to bark at and chase. There are several other picture books out there that deal with the death of a dog, but this 20 year old classic is by far my favorite. Thank you, Ms. Rylant, for such a comforting depiction of where our dear canine friends go when they leave this life. Even as an adult, when I’m going through something hard like a loss, or being treated unfairly, it helps me to turn to children’s lit. <3 for you and your family.